First wash the raw rice in water twice, then add water and soak for 10 minutes. Switch on the stove place a pan and add 2 cups of water then allow it to boil. Now check the rice whether it is cooked or not. At this stage take a pan now add three spoons ghee when it is heated add raisins and cashew then fry until it will become golden colour. Now add the fried cashews, raisins and 1 spoon honey in Chakkara pongal and mix well. Now simple and delicious traditional sweet pongal recipe is ready to serve. In this recipe I didn’t fry the rice and not adding moong dal. 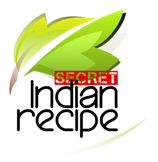 different style of sweet pongal recipe methods available like kovil sakkarai pongal recipe, sakkarai pongal brahmin recipe style (sakkarai pongal recipe iyengar) and sweet pongal recipe with sugar. This is a Kongu nadu style simple Chakkarai pongal recipe. There are two type’s jaggeries available in stores, one in dark brown colour and another in light brown colour. Dark colour jaggery gives thick colour but less amount of sweet taste, light colour jaggery gives sweeter and less colour of pongal so according to this take jaggery level correctly. Here I put jaggery raw, u can add filtered jaggery.